Class includes: Reiki I class, manual, certificate, and private Reiki session and Reiki I Attunement scheduled at another time. healing Reiki energy for yourself, your friends and family. You must have had at least one Reiki session within the last few months with a certified Reiki Practitioner who is practiced in balancing chakras. Here is the reason why. A Reiki I Attunement, which allows you to channel Reiki (Life Force Energy) for others, is a sacred, once in a lifetime event. It connects you with the Reiki Guides and allows you to be connected to the Light in an awesome and beautiful way. If you come to a Reiki Class and the subesquent Reiki Attunement with many of your chakras blocked, you may not receive the full benefit of the Reiki Attunement which is what connects you to the ability to channel Reiki energy. Instead of an Attunement to allow you to channel the Reiki Energy, the session will be more like a healing session for you. A Reiki session prior to the class will open your chakras and work on your personal healing. It is better if you come to your Reiki I Attunement open and energetically ready to receive. Although I do not make it a prerequisite for you to have that initial Reiki Session with me, I recommend you do. It is good for you to get to know the energy of the person who will be your Reiki Teacher and who will channel your Attunement. You only take Reiki I ONCE in your lifetime. Please don't think of this as just a fun class (although it is fun!) , but also an opportunity to connect with something sacred and greater than yourself. You will want to make sure you are in alignment with any teacher before you take your Reiki I class from them. If you would like to book a session with me prior to your class (recommended), you may do so here . For first time clients, I require the Signature Energy Session. Clients who have seen me previously may want the Signature Session, or may prefer the Quick Energy Healing Session. 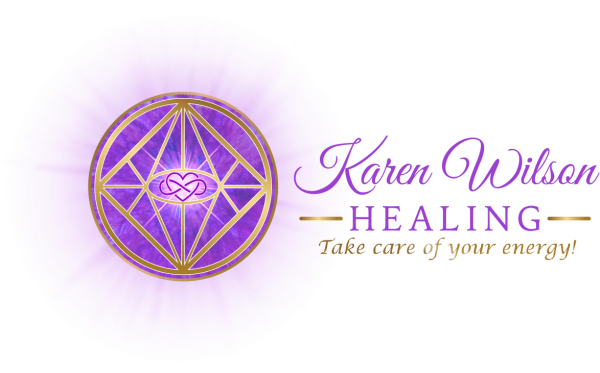 Why Take your Reiki I Class with Karen Wilson? Effective energy work is a mix of the esoteric, the practical, the sacred and the mundane. It is the conjoining of the heart, the mind, the third eye and the spirit (of you and your client) ....with the Light. In my 9 years of practicing Reiki and other healing modalities on hundreds of clients, and teaching over 100 Reiki practitioners, I have been able to learn from the Energy and from my Guides.... more and more about this dance of energy, light and spirit. It is my desire to convey to my students, not only the the mechanics of Reiki practice, but also the joy, the love, the power and the wisdom of the sacred energy we are so blessed to work with. In addition, the majesty of the energy often opens energetic channels with the student - their own intutition and gifts - and I am happy and honored to continue supporting my students throughout their journey, if that is their desire. When to Take Reiki II? Some teachers teach Reiki I and Reiki II closely together. I strongly believe it is better to wait for a period of at least a couple of months to allow the power of the Reiki I Attunement to settle in and to give the student a chance to practice the Reiki energy before moving on to the even more dynamic tools and experience of Reiki II. The Energy is your greatest teacher. Give it some time and space to work it's magic within you! After you take Reiki I and you feel called to take Reiki II, I am happy to offer one on one classes for this level. If you have questions about the pre-requisite, please contact Karen Wilson for information. you may go ahead and pay for the class and register by clicking the Buy Now button. I will be sending a class welcome email to all participants prior to the class.